I’ve always wanted to see Egypt, if not for anything else but to see the Pyramids of Giza (the only ancient world wonder in the World). Also, my Jurisprudence Professor always talked about the Ancient Civilization of Egypt and how Civilization started in Egypt and this left me intrigued. My interest was further sparkled by the movies Gods of Egypt and X-men the apocalypse, although I would later find out that the movies were a deceit and the Pyramids of giza looked nothing like what I saw. Egypt was still a nice place, good people, a bit of hassles but a great experience and if I ever get the opportunity, I’d definitely be going back. Touch Down Egypt! The Pyramids was my first stop. I had tried doing the site with a Tour operator but upon getting a a price quote in dollars and speedily calculating the Naira value based on the rates at the time, I’m sure you’d realize why I decided to go with a friend who I met on Couchsurfing and who is a local in Egypt. 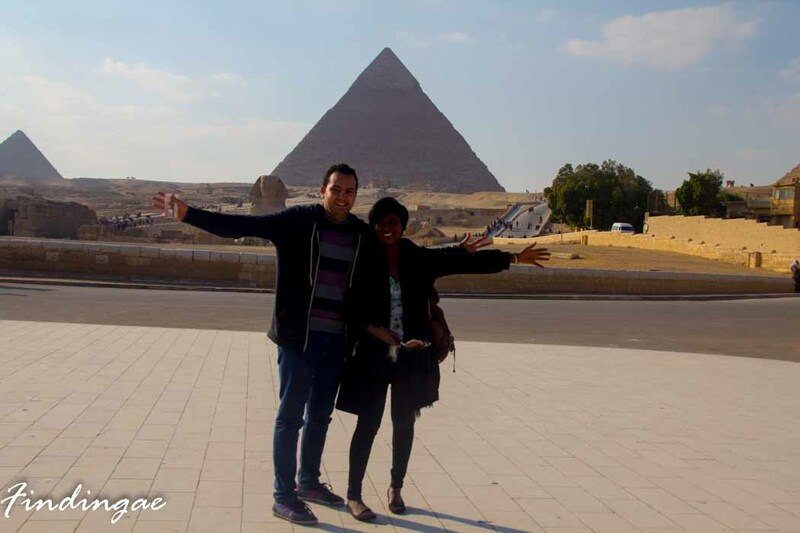 We took the Metro and Mini buses which are the cheapest form of transportation in Egypt and we were soon at the Pyramids Complex. 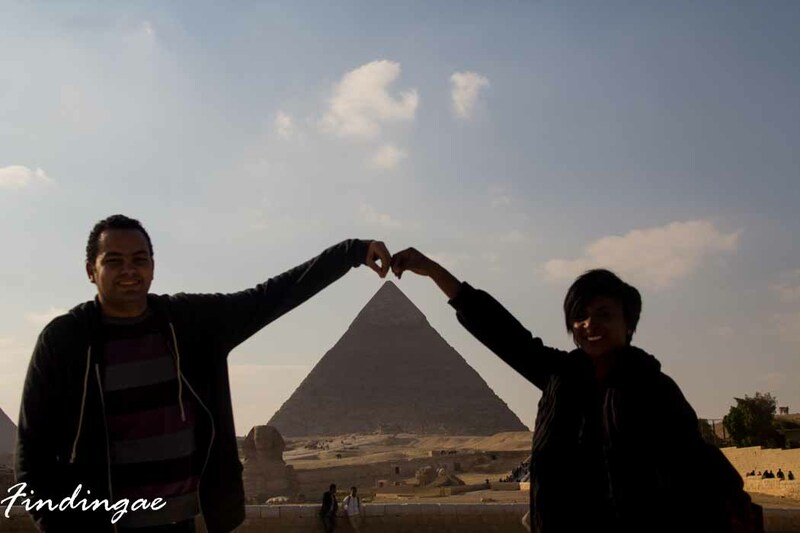 We paid 80 L.E (Egyptian Pound Each) entry fee, 100 L.E for the horse cart which can be as much as 150 L.E depending on your bargaining power, which we took quite a distance from the pyramids. I also paid 40 L.E for a 30 minutes camel ride. 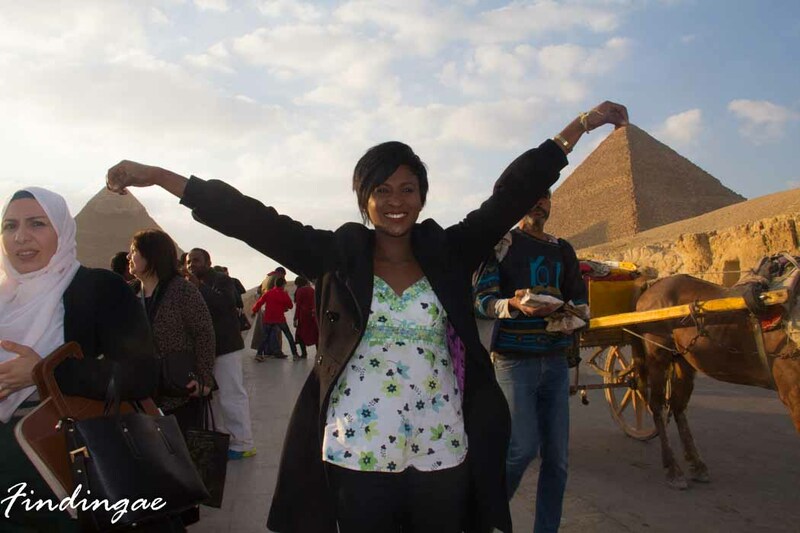 Experiencing the pyramids has got to be the most thrilling experience I have had to date. I read a lot of Negative reviews on the internet but I kept an open mind and that’s crucial to having great experiences. It was really exciting for me and I felt like royalty as I was being wheeled around in a horse cart, then lifted onto a Camel’s hunch and being asked for pictures like a celebrity. 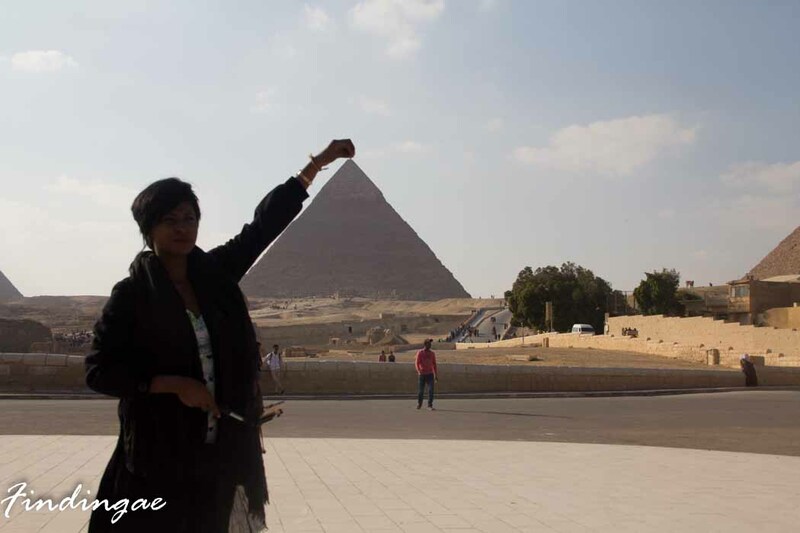 Seeing a black girl in Egypt is rare so I got a lot of stares and photo requests. I had read about the hassle and bustle of negotiating at the Pyramids of Giza but all that was taken care of by Yasser as he spoke to the traders in Arabic and I paid Local Price. 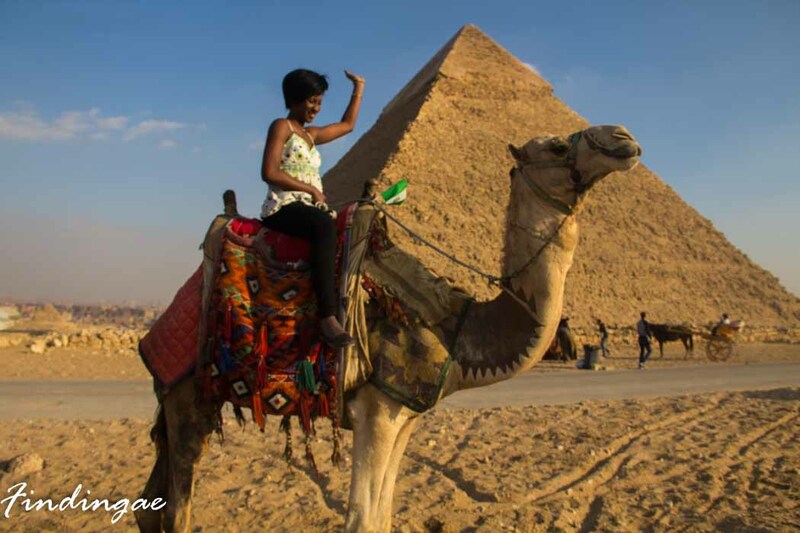 Cairo and the Pyramids of Giza is a bucket list must see trust me and no visit to Egypt is complete without seeing the over 4,500years old piece of art. 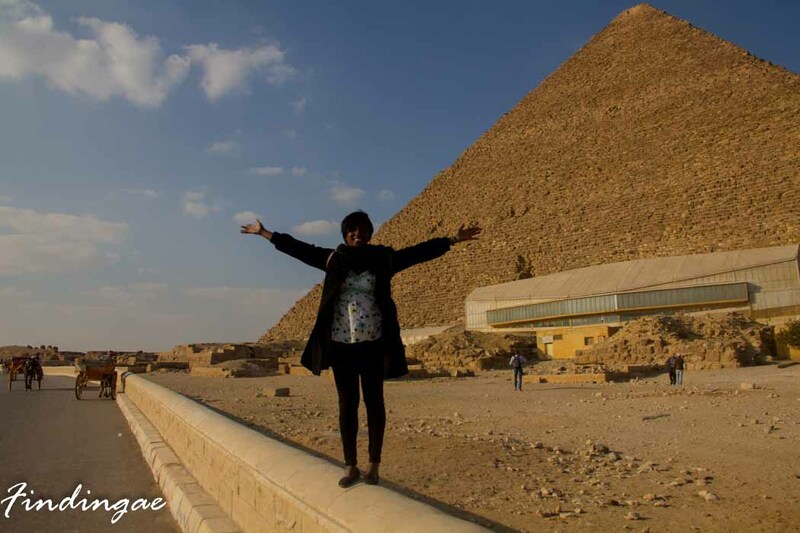 I saw 6 different Pyramids and it is estimated that the Great Pyramid of Giza alone is made up of more than 2.5 million individual stones, each weighing in excess 2727 kg. These stones were individually crafted to fit into the overall structure, and help make it one of the most impressive construction projects ever undertaken. There are a lot people trying to sell you things on the pyramid grounds and earnestly waiting for tips. I did not find them annoying as most people do, I mostly smiled and said Shukran (Arabic word for Thank you) but if you are ever going to buy anything, ensure you haggle well . 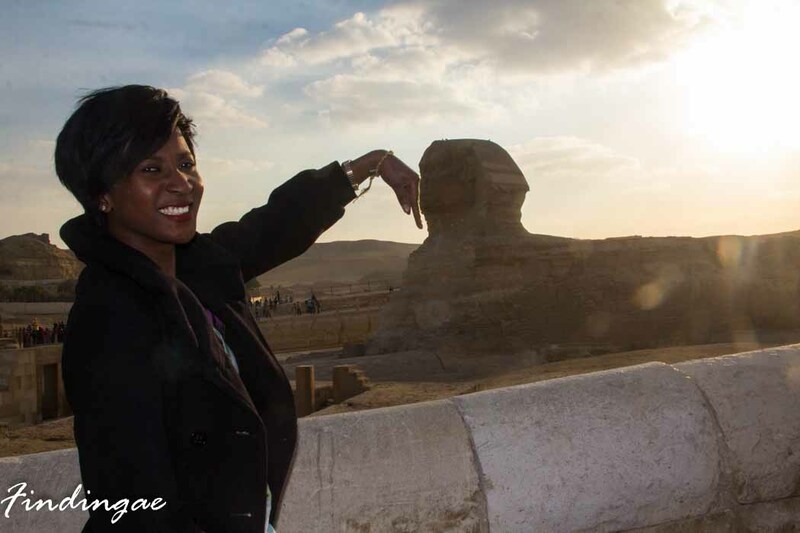 Plus I doubt there is anything wrong in giving tips however, the way and manner of approach matters and I did give a little boy who offered to take pictures of me, my favorite being this picture illusion of my hand being kissed by the Sphinx an incredible creature with Lion Body and a human head. 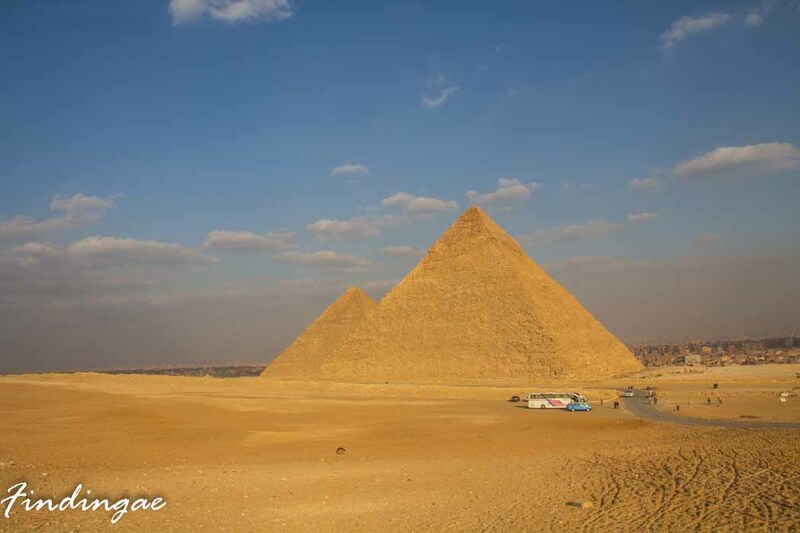 The Pyramid of Giza is the cornerstone of tourism in Egypt and a lot could be done to the surrounding which was a bit filthy and smelt of Animal Dung asides which the trip was totally worth it. Have you ever been to a World Wonder Site? Let me know, I’d probably make it my next destination! Shukran for this piece. It’s awesome. I’ve thoroughly enjoyed reading this and now I’m Oliver Twist. So, here I go; Which other words did you learn? How did you handle accommodation? Hotel or Couchsurfing? Did you try any of their meals? How was it like? Night life? Feel like going on and on but I’ll stop here. Hopefully, you’ll put up one more post about your Egypt trip. Been waiting for this trip recap for like EVER!!!!!!!!!!!!!!!!!!!!!!!!!!!!!! Pictures look amazing and I am so jealous of you! Egypt is sooooo on my hitlist! lol…Bids!…Settling into my new job has been a bit stressful and time consuming…I should do some writing pretty soon. Nice! Would love to visit the pyramids sometime. I like that you ignored the reviews you read online and kept an open mind. That helps.